On day 10 of #30DaysWild I was at work in Warwickshire. In the afternoon I tended to the educational garden before having a hayfever attack and getting through two packets of tissues (HOW can I produce SO MUCH SNOT), so I took myself off in the truck to do a site patrol. I went to the far end of site to have a look at a patch of nettles. This patch has been left to grow long and wild and it’s really good for wildlife spotting. 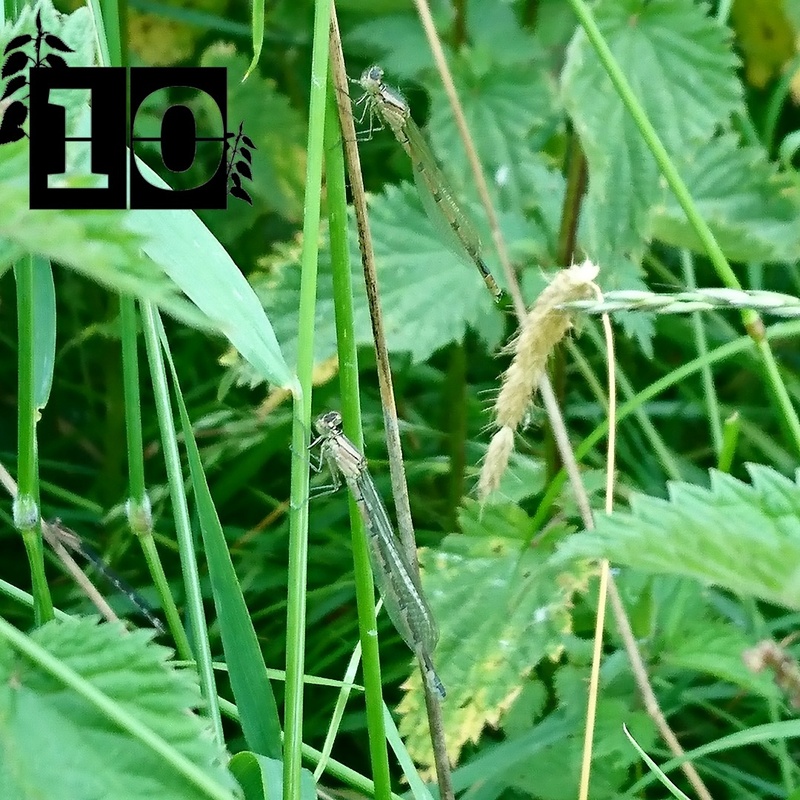 I saw three types of damselfly, two types of spider, 3 types of hoverflies, 2 types of bumblebee, and a bunny rabbit! Leaving an area of nettles to grow can make a really good habitat for a range of beasties.